Curious, KSing is ok now? So im being told by a few different JD's that kill stealing is ok now. Is this true? Story time>>> So im boxed up minding my own buisness in cooper, i have 2 little ones i wanted to get a bit xp while i hunt the almighty desash. So i buff up, warp in, and someone is already there, no biggie i go kill the 53's until they leave. about an hour later they left and i move into the 55 camp zone and begin the slaughter, some was mine.... About an hour pass's and no desash, i think hmm did they change the timer? I keep killing. Next round i see him pop, im engaged with 3 others at the time, so i finish them off quick, turn to engage desash and get past by warping out jd. Well fml. Needless to say this happend 3 more times till i flipped in local. It was there im told, it is ok to KS deasah even if someone is camping the area. Is this true? There was a gate raid going when i was there, should i have just brought my PW's down instead and killed there boss's while they take care of the trash? Maybe do the same for other targets? They all told me it was "Ok" so maybe i will. So what say the you all? Is it ok to ks someone camping a timed boss, whether is be a level 10 or 60, since if its ok for one, it must be ok for all of them. Maybe it would be better to just run 9 JD's so i could use the excuse, i didnt see you there, which is bogus, and, but these are jd tatics. 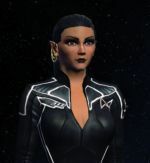 This is inacurate: Spaceballs The Fleet: Zzexx >>>Next in rank: Ozoneluke <<< No such person is in the guild Named Ozoneluke, I am Founder ( Zzexx), President Skroob if you will. :) There is no Next in line as stated farther up on the list, If/When Zzexx goes inactive the whole guild will be inactive.